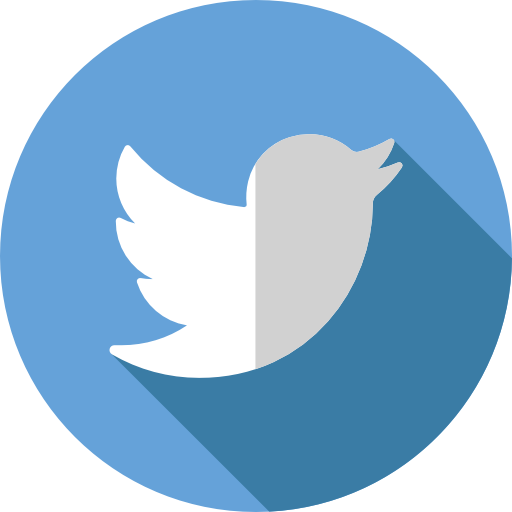 Colours contain certain unique psychological properties that have a powerful impact on our feelings. Red is viewed as a powerful colour, masculine in nature that can raise the pulse. It also carries with it negative links to aggression and defiance. The colour blue, on the other hand is viewed as the colour of the mind, representing coolness, comfort, efficiency and logic. 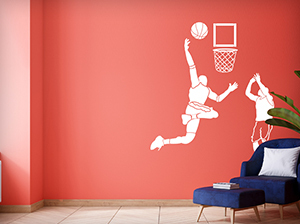 Studies show that for all sports, the winning team or winners sport red than blue. 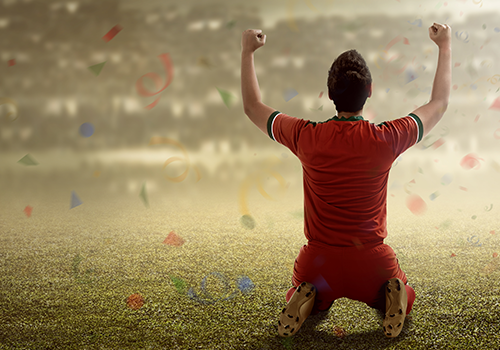 Studies have shown that the win rate could be reflective on an innate response to perceive red as a signal of dominance. Isn’t this fascinating to read? 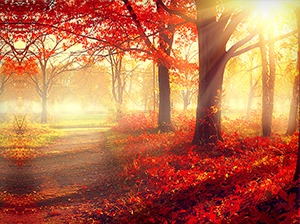 Studies conducted by psychologists have found a number of connections between colour and memory. People seem to have more trouble remembering facts presented in black and white than they do facts shown in colour. 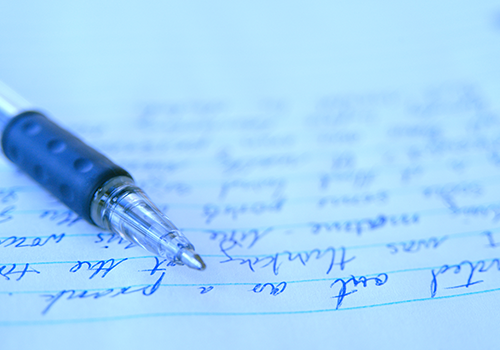 For example, lecture notes in coloured pen are more helpful than notes in black ink, while a scene in colour is easier to remember than a black-and-white film scene. 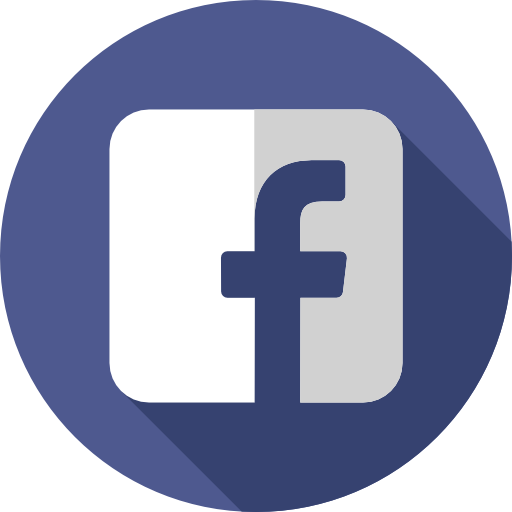 The reason being that colour, excluding black and white have a stronger effect on the senses that are essential to form a memory. Interesting, isn’t it? Fashion and colours go hand in hand, discover the secrets of this connection and up your style quotient here. 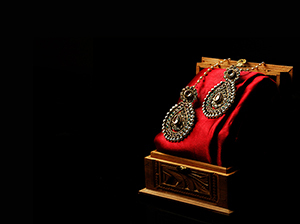 Oxidized jewellery offers a fresh look into the world of gold and silver jewellery. It is no surprise why oxidized jewellery is fancied by most. Not only does it have a unique look but is also versatile unlike gold and silver. 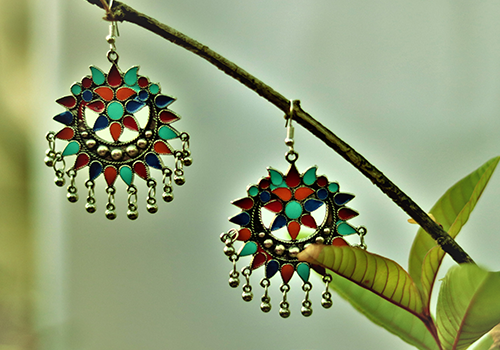 It comes in myriad patterns like delicate carving, stone work and enamelling, to name a few. It has an old world charm and a traditional appeal, complementing ethnic outfits. 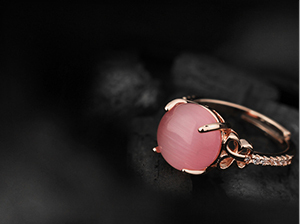 Pieces with coloured stones stand out and make for stunning, stand-alone accessory. Love it, hate it, you can’t ignore it! Colours & EmotionThere can't be a better language for emotions than colours, click here to explore. 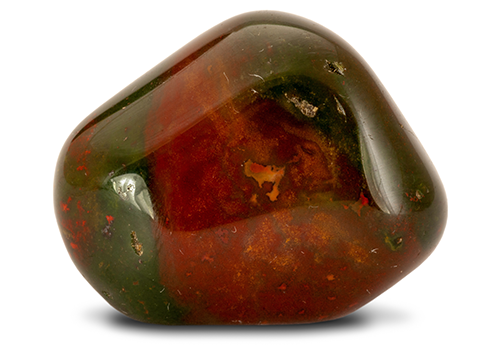 Here’s a beautiful gemstone called Bloodstone. It is a dark green variety of jasper that flaunts splashes of red colour. It is interesting to read how this gemstone got its name. It is known to remind people of blood, which gives it its name. It has been a popular gem for several thousand years. Apart from its visual appeal, it also has healing powers. It is believed to purify and detoxify the body. It is also known at grounding negative energy and cleansing the body. Fascinating, isn’t it? 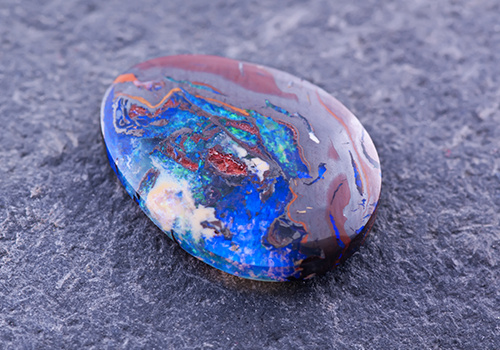 Feast your eyes on this fascinating stone, which goes by the name of Boulder opal! It is mined from large ironstone boulders under the ground and that is why is given the name. It displays precious opal within its surrounding rock matrix. This stone represents purity and intensity. It is believed to aid in emotional and mental balance, calming the inner soul of an individual. It is known as an excellent stone for progress, expansion and development. It is a good idea to wear this stone if you are going through a lot of stress or going through obstacles in your life. It is also known to help you move on after heartbreak. Interesting, isn’t it? What if we told you that there exists a forest on this planet with trees that have multicoloured trunks? Fascinating, right? This is a place called the Painted Forest on the road to Hana, Maui, which is saturated with eucalyptus trees that flaunt multicoloured trunks that look straight out of a fantasy film! If you are wondering how the trunks possess such colours, it is because of the bark peeling off the trees to reveal the new bark beneath, which transforms from a gorgeous shade of green into blue, purple, orange, yellow and maroon. 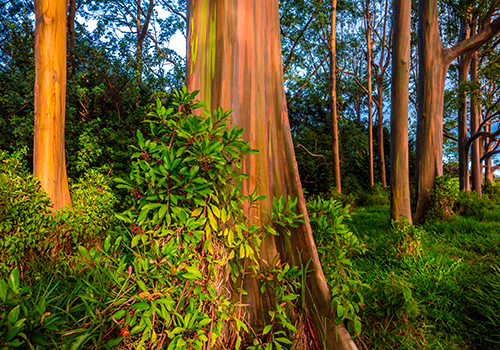 These wonderful rainbow eucalyptus trees can be found along the hikes in Kauai, too. Get your backpacks ready if you are interested in exploring this exciting place! Take a look at the Vinicunca Mountain. 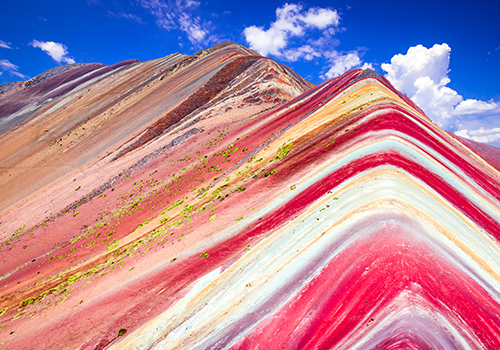 It is also known as the Montaña de Siete Colores (Mountain of Seven Colors). It is located in the Peruvian Andes. This nature’s wonder was discovered some years ago and is a popular destination for tourists today. If you wish to explore this place, here’s a word of caution – the path to this place is infamously daunting. It is an extremely arduous hike with an uncomfortably high altitude, but you are guaranteed a breathtaking view from the top. The sight looks like an oil painting with thick rainbow stripes that look painted into the mountainside, which is actually a result of mineral deposits from over millions of years.